Let our officers at MNP Auctioneer’s help you make it happen. 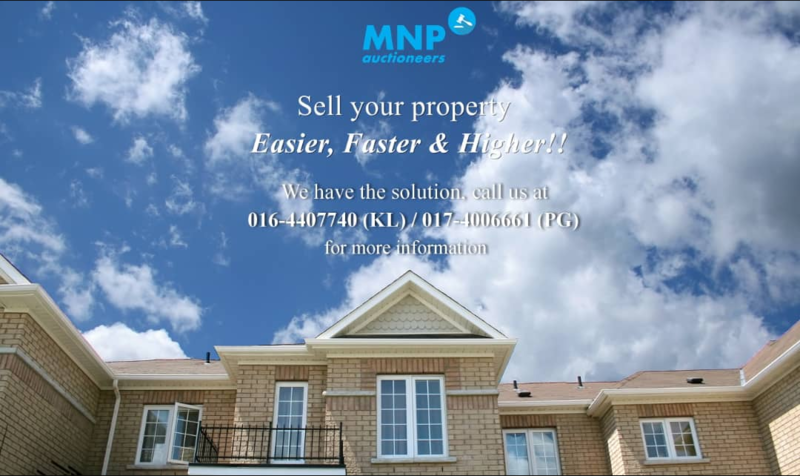 Let us use our expertise and assist you to sell your property. Reduce time of price negotiation and hustling from agents and buyers on the price of your property which eventually lead to a sale below your expected price. Call 017-400 6661(Penang) / 016-440 7740 (KL) for a one-to-one assessment and to help our officers understand more to get you the best value! Limited time offer available.